Croatia is a beautiful country. With 1,777 km of mainland coastline, 1,246 islands, and who knows how many bays and inlets, it offers the most indented coastline and most beautiful beaches on the Mediterranean. To learn more about Croatia and its most popular destinations and activities, please check out my other book on Amazon: Adriatic Road Trip. My favorite region of Croatia is Istria, a hidden gem nestled in the NW corner that’s not as widely known and traveled as the southern coastline of Croatia. 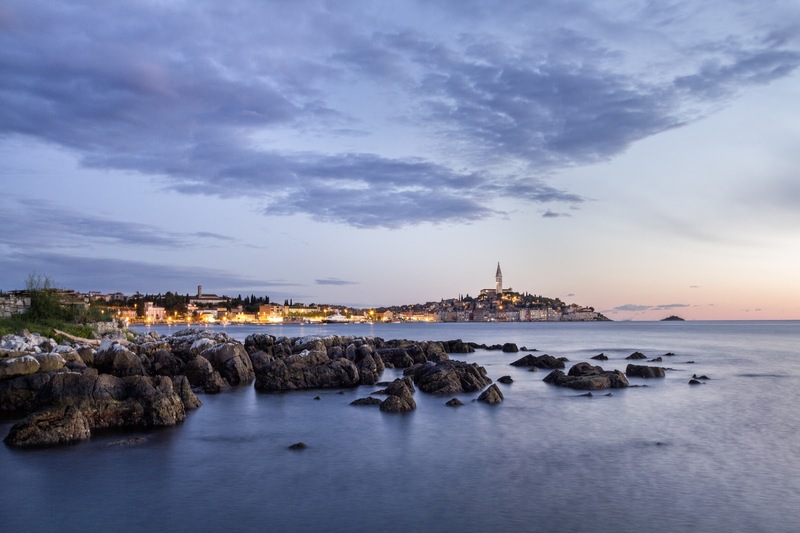 Istria is often referred to as "Terra Magica" (magical land) because it feels like a small, magical country in itself, and is known to charm and bewitch its visitors. Coastal Istria, also known as Blue Istria, offers beautiful beaches, seductive coastal villages, exciting water activities, and delicious seafood. Inland Istria, also known as Green Istria, boasts an abundance of fun destinations and activities, including mesmerizing hill towns with historic ruins, glorious nature parks, thrilling adrenaline parks, delicate wine and olive oil traditions, truffle hunting, and an array of gourmet delicacies. Although this abundance can be overwhelming, my hope is to organize places, attractions, and activities in Best of Istria by interests so that you can easily identify places and activities that most interest you. I have enjoyed writing this book over the past year and hope this travel guide will help you explore the many offerings of Istria. Please know that the guide is not designed to be an exhaustive list of all things in Istria. Rather, the guide’s purpose is to serve as a collection of favorite places and activities recommended by locals and experienced travelers, reinforced by my own personal experiences. The information in this book provides the most current information available at the time of publication, but as most frequent travelers know, changes are constantly afoot. Please check with any venue’s website or call ahead for confirmation of information before visiting. If you find any discrepancies or have suggestions to help me improve future editions, please e-mail me with your comments. Visit Adriatic Road Trip website to connect via social media, for additional resources, and to stay informed of new developments in Istria and Croatia. I hope you enjoy Best of Istria and make this a travel guide that you continue to use with each visit to Istria. I also hope you will recommend it to your friends as an insightful, authentic guide to one of Europe's most beautiful places. I wish you many magical moments in this truly magical part of Croatia. Always feel free to get in touch. I’d be delighted to help with any of your questions.